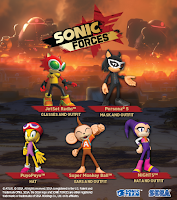 Sega have announced that Sonic Forces is scheduled to launch on Nintendo Switch, PlayStation 4, Xbox One and Windows PC - November 7th! 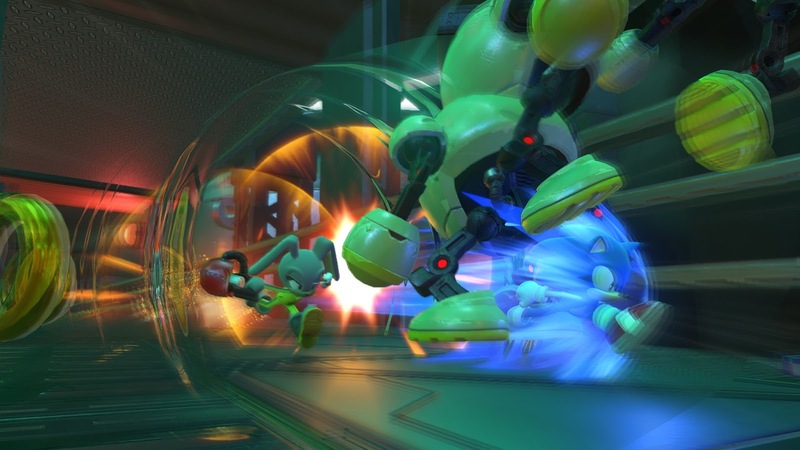 Fans can now pre-order the physical-only, Bonus Edition. 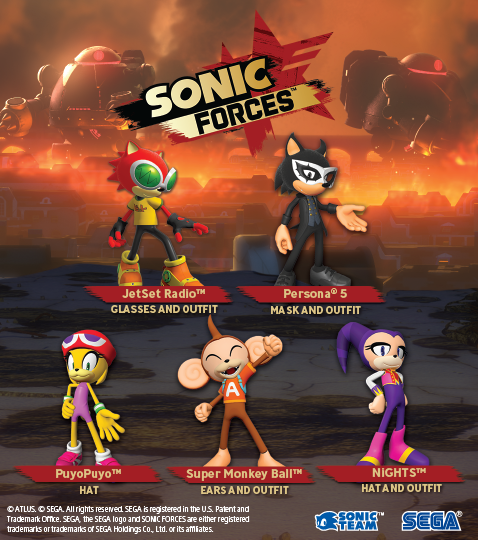 Available for a limited time only, the Bonus Edition will contain four Sonic Forces art cards and the Sega/Atlus Pack add-on, which offers 13 more in-game outfit items and accessories to recreate the look of five other Sega/Atlus icons for your Hero Character. Those who pre-order the Bonus Edition from retailers* participating in the pre-order scheme will also receive the Shadow Costume for their Hero Character.